The Bone Collector CanCooker is loaded with features to help keep you safe while preparing your meals. The riveted heavy-duty handles are stout and secure, for easy transportation from the heat source to the dinner table. A vented lid helps relieve excess pressures and the safety clamps keep the lid in place. 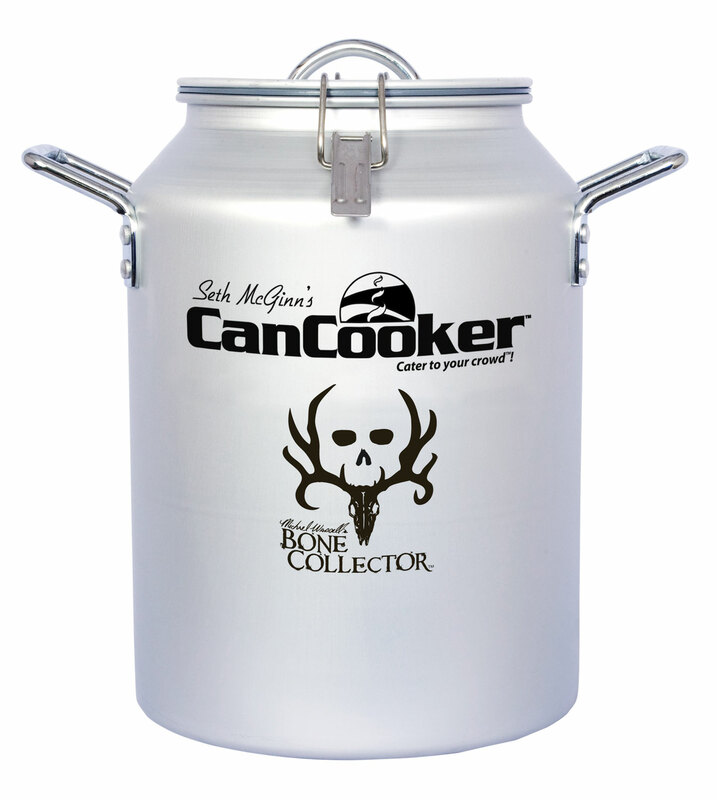 The Bone Collector CanCooker has a capacity of 4 gallons and can feed up to 20.